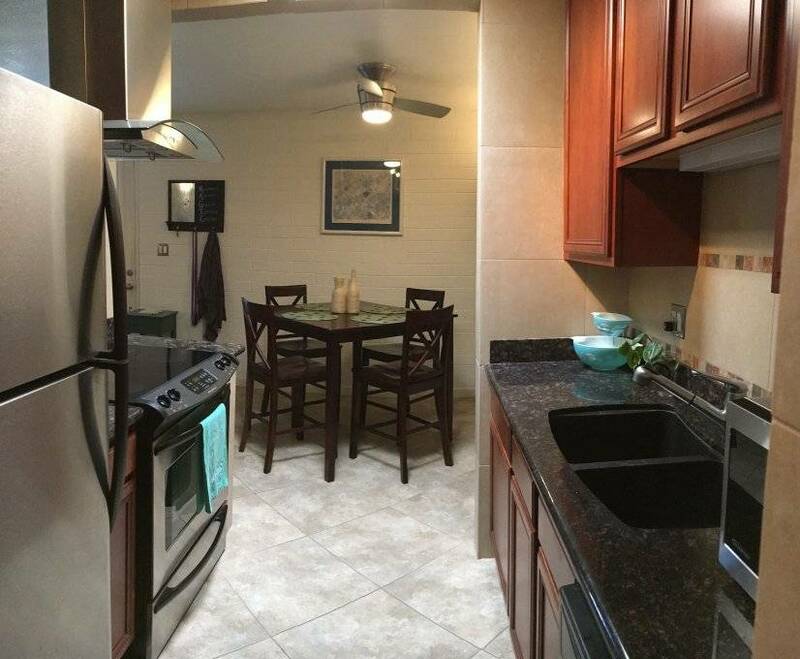 Fully furnished includes rent, power, water, trash, internet and cable ready. 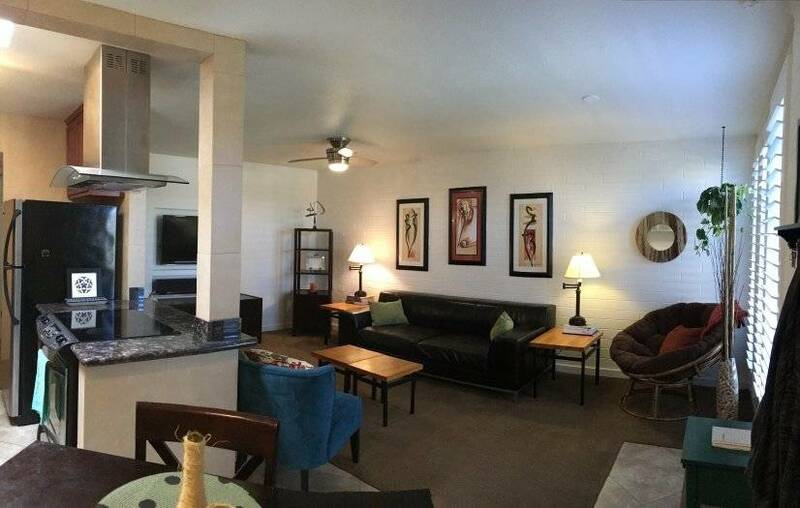 This wonderful furnished apartment is located in a peaceful gated community, pleasant grounds, friendly neighbors, and community pool. 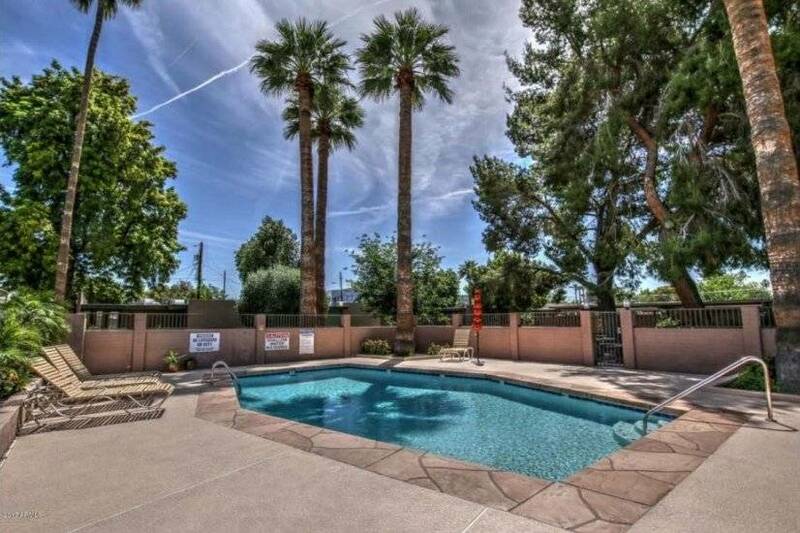 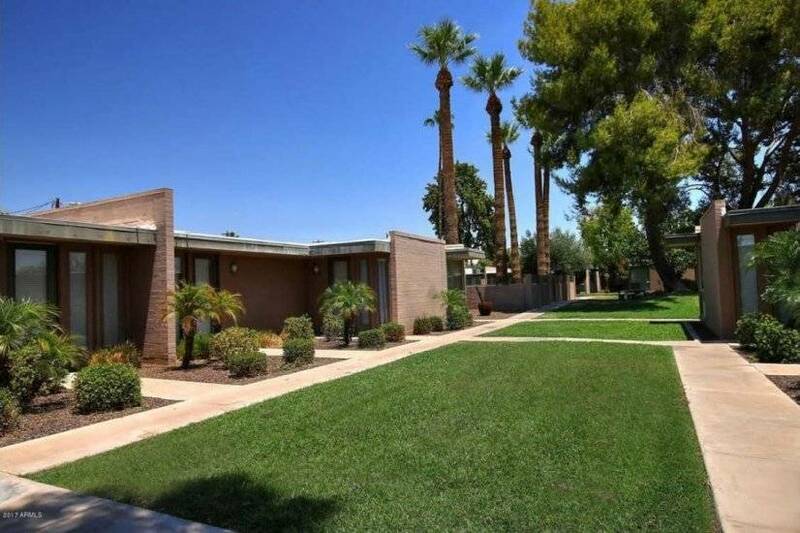 Located less than a mile from the Biltmore Shopping area, movie theaters, restaurant, and only 1/2 mile from the nearest grocery store Sprouts, with neighborhood eateries. 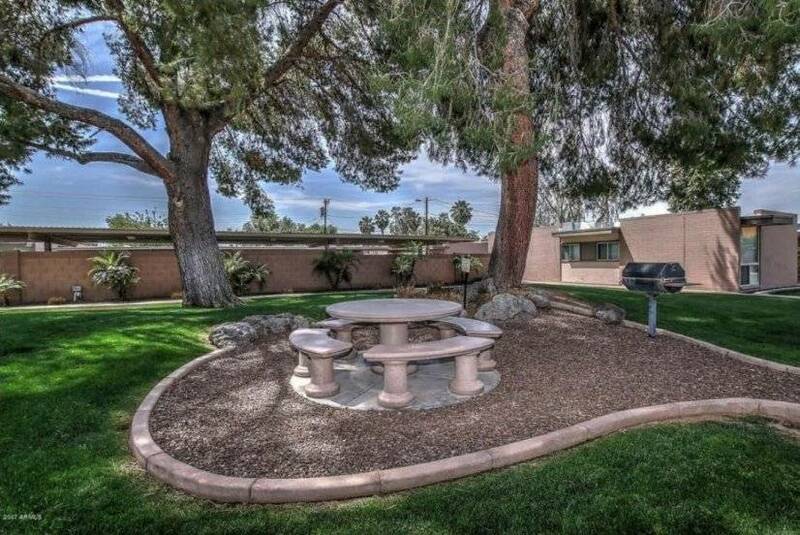 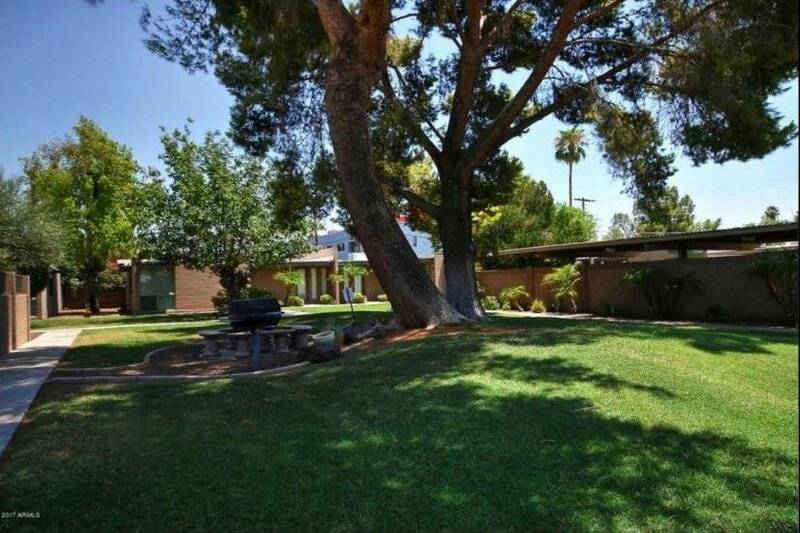 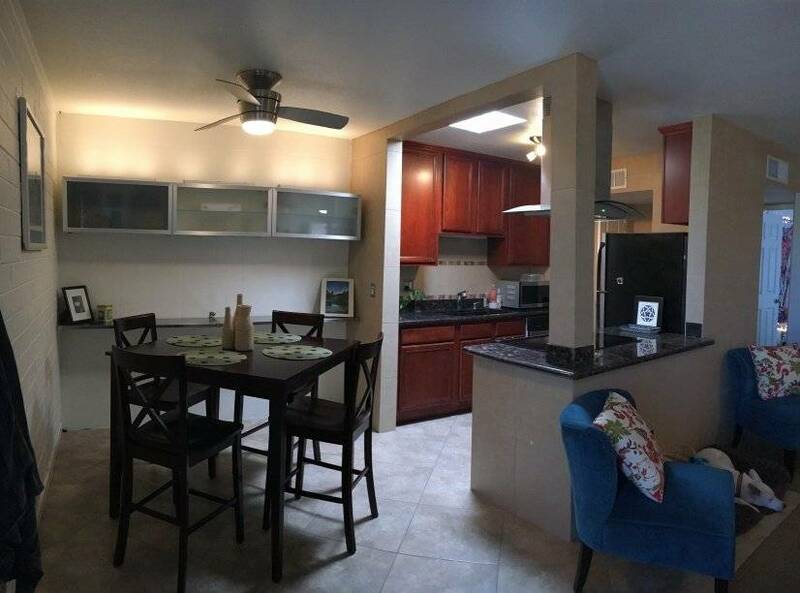 Walking distance to Los Olivos Park. 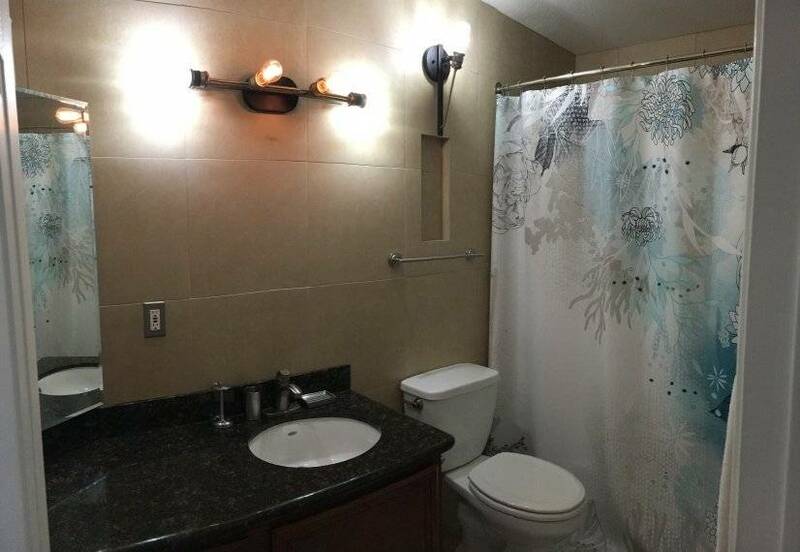 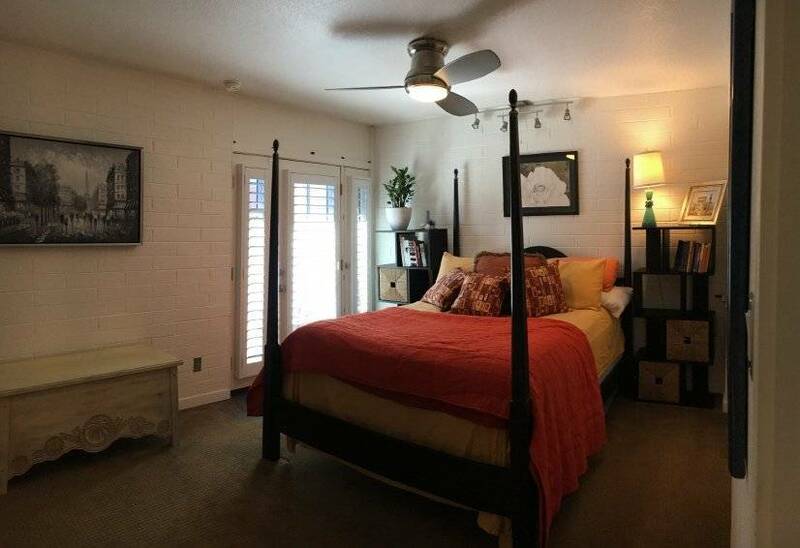 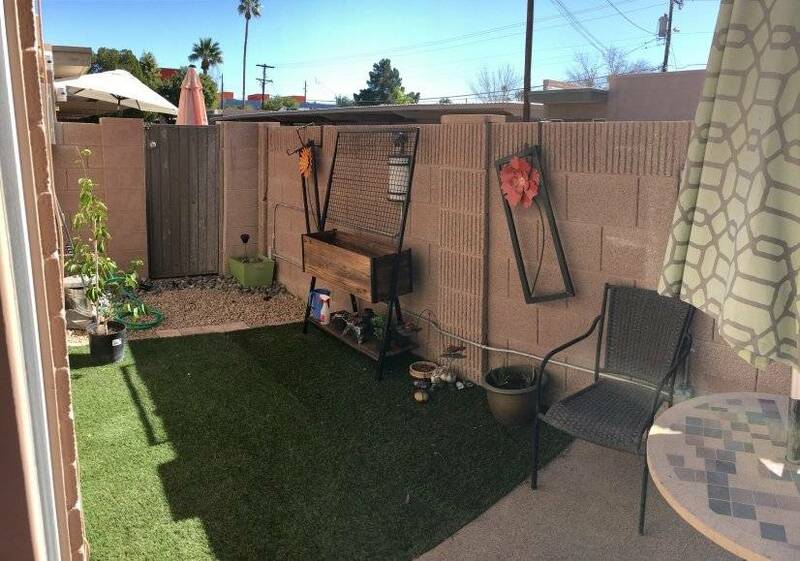 This is a comfortable one bedroom, one bathroom, open floorplan, in-unit laundry, private patio and dog friendly apartment.